You Guys Are Lovely, And I Love You All. 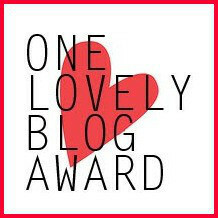 They’re all wonderful and very different blogs, but they share one common thing: they like me. As far as I’m concerned, that makes you a hero. Seriously though, they’re all great writers and fascinating people who make me laugh, cry, or just see life from a whole new perspective. 1. My hair is so long that I have to tie it up to go to the bathroom. 2. I’ve only been to 4 different states outside Pennsylvania (where I live): Maryland, Virginia, New Jersey, and Delaware (also technically New York, but only because I went to New York City for the day which I don’t actually count). 6. I was recently(ish) diagnosed with Borderline Personality Disorder. I don’t totally understand it yet, but it scares the Hell out of me. 7. I might be an alcoholic (you’ve probably noticed), but I prefer the term “alcohol enthusiast” because I’m not ready to deal with it yet. Lol. 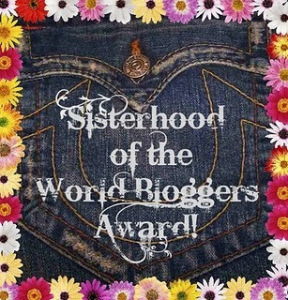 Posted on October 17, 2014 October 18, 2014 Categories Awards, Lists, Who Is Alanna?Tags award, blog buddies, blogging, one lovely blog14 Comments on You Guys Are Lovely, And I Love You All.